Most instrumental ensembles are part of our 'Music Night' on a Wednesday at Thomas Hardye School. The DASP Stringalings is open to all string players from complete beginners (open strings) up to grade 2 standard. Being able to read notation is an advantage, but is not essential as easy-read parts are also provided. It is directed by a string specialist who is able to offer targeted support at those that need it most. Come and make music with your friends and have fun! The Training Winband is open to all players from complete beginners up to grade 2 standard. Being able to read notation is an advantage, but is not essential. It's directed by a wind and brass specialist who is able to offer targeted support at those that need it most. Come and make music with your friends and have fun! The DASP Youth Orchestra is open to all orchestral players (including saxophone, keyboard and percussion) from Grade 1 upwards. It plays a variety of classical, film and more popular music and will help students to gain the skills needed to play in a large ensemble. The DASP Youth Orchestra performs at the DASP Christmas and Summer Concerts as well as at various other opportunities throughout the year. For: All orchestral instruments (including saxophone, keyboard and percussion). Grade 1+. Stringendos is open to all string players of Grade 3 standard and above. They play a variety of music in different styles. The group gives string players the opportunity to play in an ensemble with expert direction from a string specialist. The DASP Clarinet and Sax Group is open to all players from Grade 3 standard upwards. They play a variety of styles and focus on improving ensemble playing with input from a clarinet specialist. 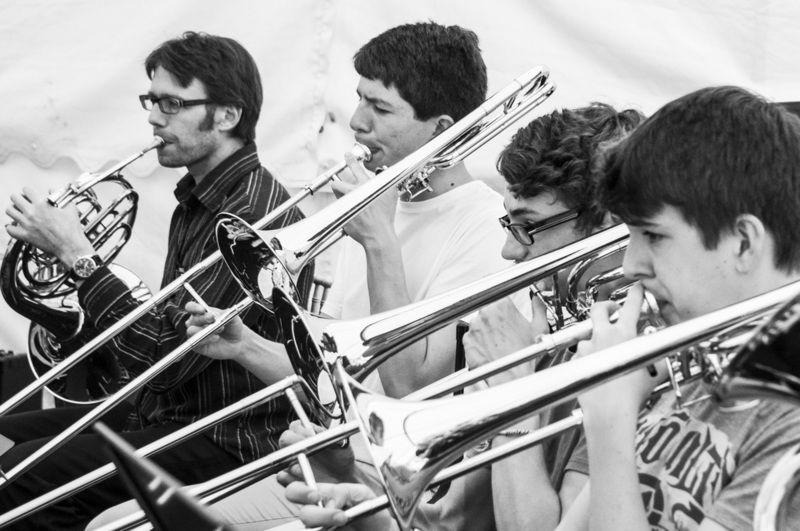 The DASP Brass Ensemble is a small chamber group aimed at players of Grade 3+, which is generally led from within by the director. 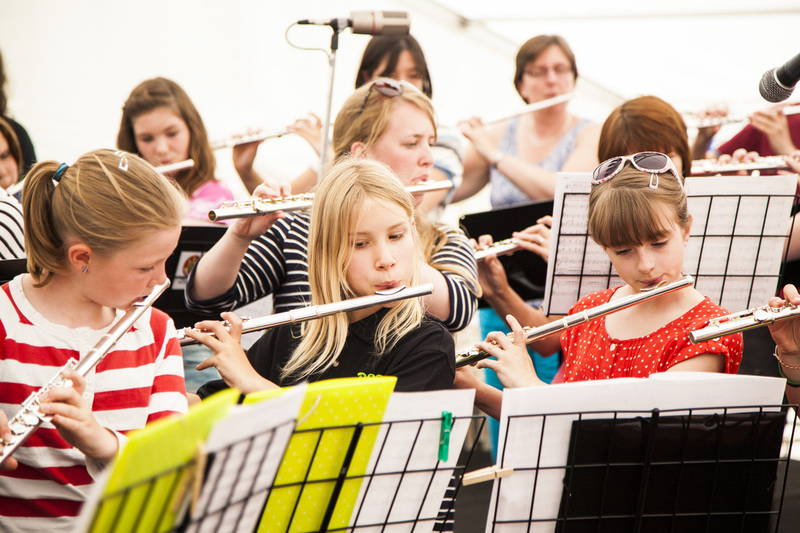 As such, young players will often have the opportunity to hold their own musical line, developing skills in concentration and improving confidence. They perform at the DASP Christmas and Summer Prom concerts and also perform at festivals and smaller concerts throughout the year. The DASP Flute Choir provides an opportunity for the area's many flute players to make music with others in a friendly environment. Flute choir welcomes players of Grade 3+. We are holding four Uke Troupes during 'Music Night'. Two aimed at beginner Ukulele players, one for intermediate players and an advanced one for students at THS. Learn to play chords, pick tunes and accompany yourself singing whilst having fun! The DASP Jazz Band is open to all flute, clarinet, sax, trumpet, trombone, piano, guitar, bass guitar and drum players of grade 2 standard and above. Learn jazz standards and develop your skills in improvisation in a fun and supportive environment. The DASP Guitar Ensemble is open to all guitar and bass players in years 5 and above. Learn standard riffs and chord patterns, develop your skills in improvisation, learn to play in a group and meet other guitarists in a fun and supportive environment. For: Guitar (acoustic and electric) and Bass guitar players in years 5 and above. The DASP Rock Group is open to all guitar, bass, drum kit and keyboard players in years 5 -8. Learn standard riffs and chord patterns, develop your skills in improvisation and performance, learn to play in a group and meet others to form your own bands in a fun and supportive environment. For: Guitar, Bass, drumkit, keyboard in years 5 -8.